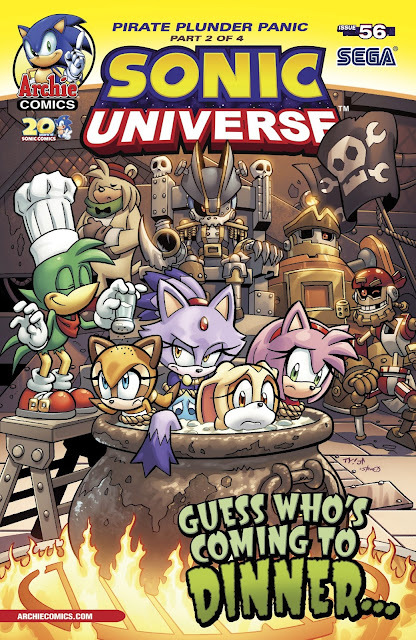 This is the general thread for discussing new and old issues of Sonic Universe comic series. Everything about it, not deserving its own topic, should go here, but feel free to create a separate one if you think something you want to discuss deserves it, or is not directly related to any of the series. Seems that Yardley will be writer, and it kinda looks like Team Treasure Tango. But as long as Marine gonna appear I just cant be pesimistic. So, Sonic got one eye and yet somehow wears eyepatch? LocationWherever in the multiverse I want to be. We already had a ninja SU story arc, and after Worlds Collide is finished we'll have a pirate one. Interesting. I think it's just another Sonic cover cameo, I'm afraid. This one looks really promising. I look forward to see how Yardley gets to grips with writing. I've always enjoyed seeing Blaze and I love the cartoonish antics Bean and Bark get up to! I'm making a topic about weird and funny moments it the comics. Check it out! So they're FINALLY gathering the rest of the Sol Emeralds. Took long enough. I'm expecting Burning Blaze in this arc! -She will appear in SU #55(due to the Genesis Wave sending her to Blaze's world) which will take place DURING #252 due to the solicitation saying that this story is "right out of the crossover". She may be mentioned in #252, though. Are you trying to be funny, or are you making a statement? Actually, I was going for both. Is Yardley the Sonic Universe's BIG CHILI DOG or something? I heard somewhere that SU issue 50 was going to show the ending of Sonic Underground but was then changed to Metal Sonic. Blaze appeared in SU issue 1 with Shadow and Marine the raccoon. Hope Marine annoys sonmeone to the point where they go crazy. She would get on very well with Bean in my opinion. Same here. I've always enjoyed seeing them and Bean's been hilarious whenever he appears! Also, Bean would like to type something. Bean? Actually, I wouldn't be surpised if Bean did say that. 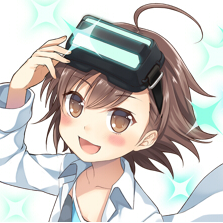 Good impression. Well, I asked Marine to say something about SU. It was too long, so I made an acronym of it. The acronym was too long. If they go on a date, that's a match made in heaven. Also, DeviantART user Chilbi-Jen-Hen will draw the Off-Panels. for some reason , I can't help but die laughing everytime I read: ARRR you ready ? anyone care to help me out on this one ? Here is the cover of the upcoming Sonic Universe #56. Details are given below. There is a spoiler tag incase of details given you don't want to know yet. Ahoy, ye mateys! Tharr be trouble on the high seas! Blaze—a pirate prisoner! Amy, Cream and Marine—lost! Bean—an oddball, be we knew that already! It’s a race against time as Cpt. Metal begins his plan for the Sol Emeralds and his new, completed Egg o’ War! And now that ye mention it — there's something REALLY familiar about that battle station, but I just can't put me hook on it! There’s mystery and mutiny a'foot in Pirate Plunder Panic Part Two! Featuring new cover art from Tracy Y'ARRRR-dley, and a special Sega variant cover! Well, Tracy did great with Babylon Rising. Hope he makes it funny, but not cheesy. I went to Crystal Man for some fortune telling. He claimed to have seen a robot bat, a large grey/blue robot in a lab, a crocodile, a chameleon and a bee not getting inside a base and a pair of robots becoming alive. Yep. I was wondering where they had gone and was missing them.